Kanavape is a CBD vaporizer that made the headlines earlier in 2015, presumably for being the first European company to launch a certified CBD product, with certified hemp origins. From the organic hemp sourced in family farms to the hard work on the taste (along with a pretty sleek design), it already has many adopters around the world. 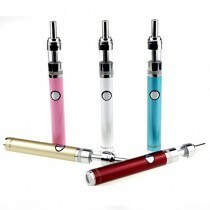 Now, Vaping has got better, here are some of the better Vapes available today.